Employees who are subject to high levels of noise at work will eventually experience hearing loss if they are not using proper hearing protection. If that employee applies for workers compensation for hearing loss, the difficulty arises in determining exactly how much of that hearing loss is due to work related noise levels, and what hearing loss is either non-occupational or a natural occurrence due to age. Determining this level of hearing loss is up to the workers comp claims adjuster. This can be very challenging because they must go back through the employee’s medical history related to their hearing. In some cases, they may have to go back decades to determine the correct percentage of hearing loss caused by exposure to noise at work. What the claims adjuster needs are previous records of audiograms performed by an audiologist or otolaryngologist in a soundproof room. These tests measure the employee’s hearing threshold at various frequencies. After finding previous records of hearing tests, the claims adjuster will then take a current reading of the employees hearing levels. He or she then compares the previous levels to the current levels and adjusts the hearing loss depreciating the value for age and normal hearing loss that can be expected over the course of one’s lifetime. If the new test shows an increase in hearing loss, the patient must then go through further testing by an otolaryngologist to determine if the hearing loss is due to a defect in the middle ear, an infection or a previous injury rather than to noise levels at work. If the otolaryngologist determines that the hearing loss is due to one of these factors, the application for workers compensation can be denied, but if the otolaryngologist can determine that the hearing loss is due to noise levels or a combination of hearing problems, then the claim can continue. Due to the complexity of determining these claims, it is imperative that employers offer baseline audiograms (mandatory under OSHA regulations) to new hires and encourage employees to wear hearing protection. The best way for employers to limit workers compensation cases is to protect the hearing of workers from the beginning. Companies that incorporate hearing protection, like Custom Ear Protect dB Blockers™ into their safety program, will save money by decreasing hearing loss claims and reducing the cost of the claims that do occur. 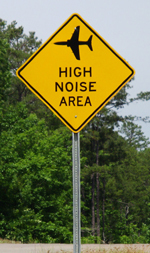 Explore our website to see how you can learn more about the difference in noise frequencies, how to test for noise levels at your workplace and how you can implement a successful hearing protection program.